The hype train for a third John Wick film was set in motion by Keanu Reeves on horseback last year, and the hotly anticipated film now has a release date. Today, the film's official Twitter account shared that John Wick: Chapter 3 – Parabellum will arrive in theatres May 17. An accompanying poster shows Reeves in character gazing through the glass of the Continental Hotel. John Wick (Keanu Reeves) is on the run for two reasons… he's being hunted for a global $14 million dollar open contract on his life, and for breaking a central rule: taking a life on Continental Hotel grounds. The victim was a member of the High Table who ordered the open contract. John should have already been executed, except the Continental's manager, Winston, has given him a one-hour grace period before he's "Excommunicado" – membership revoked, banned from all services and cut off from other members. John uses the service industry to stay alive as he fights and kills his way out of New York City. 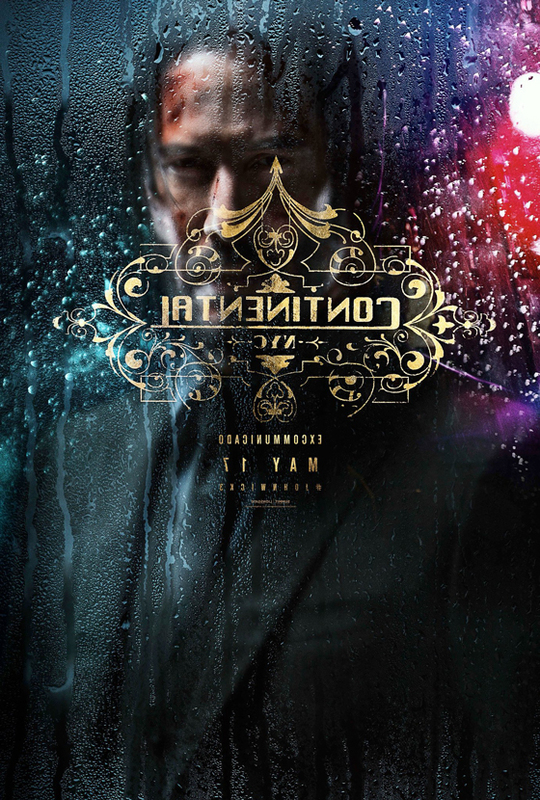 Last year, a television series set in the John Wick universe, titled The Continental, was said to be in development. It was also revealed last year that Reeves will appear in Toy Story 4.